Sweet! But that`s still some time away. True...just a little patience required I guess. Posted this on Facebook also. But appears the block for the hotel is not set up correct. It is booked for only 2 nights (friday night and saturday night). With events on Sunday and those traveling a long distance is there any chance a Sunday night can be added to the booking? when you follow the link for the booking (located http://www.focusfest.com/lodging/) it auto populates a check out of September 2nd but the discount block rate does not go past the night of the 1st. Also when will registration be open? Hi @Magus2727, we've only secured the rates for 2 nights. However you're welcomed to contact the hotel to see if they can offer the discounted rates for Sunday. We'll make another update to this thread when registration is open. @FocusFest Ben Richter seems to think differently (posted as a Facebook responce to a post). With Auto-X and Drag racing on Sunday some of us will need Sunday night. Both for a place to sleep and a place to keep the stuff we don't want in the vehicles for those activities. Well Ben got things worked out. Booking made for 3 nights at the block rate. 19.5 hour drive here we go! Is the SVT scene welcomed? About a 9 hr drive from VA but gonna be worth it! FocusFest is the premier FocusFest community. We offer one of the largest collection of Ford Focus related news, gallery and technical articles. Share your favorite FocusFest photos as well as engage in discussions with fellow Ford Focus owners on our message board. 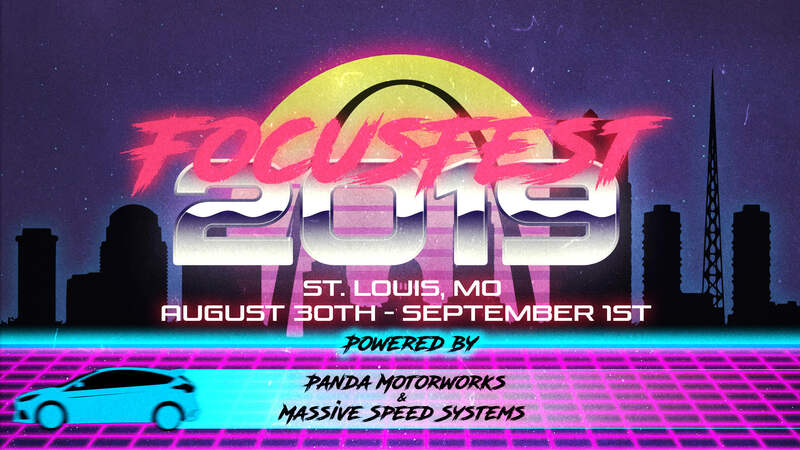 FocusFest.com remains independent and is not affiliated with, sponsored by, or endorsed by Ford. All use of Ford's trademarks, brands, and logos, including all Ford marks displayed here, is purely referential, and such marks are the property of Ford. Copyright FocusFest.com. All Rights Reserved.